What do you do when you’re convinced that you’re born to be extraordinary? Well, you become it. At least that’s what Freddie Mercury, Lead singer of the band, Queen did. Bohemian Rhapsody chronicles the life of Farrukh Balsara a.k.a Freddie Mercury. The movie takes you through ups and downs of his life, the struggles he faced, the adoration he received, the tumultuous choices he made, the family he loved. Great spectacle and an even greater treat to music lovers. The movie is filled with the songs that made Queen a household name. This recital do come with bits of fantasy, certain creative liberties and few oversight but I liked the overall packaging. Needless to say, such a great story needed to be told with full justice and that’s only possible when you have every actor in the movie deliver a stellar performance. 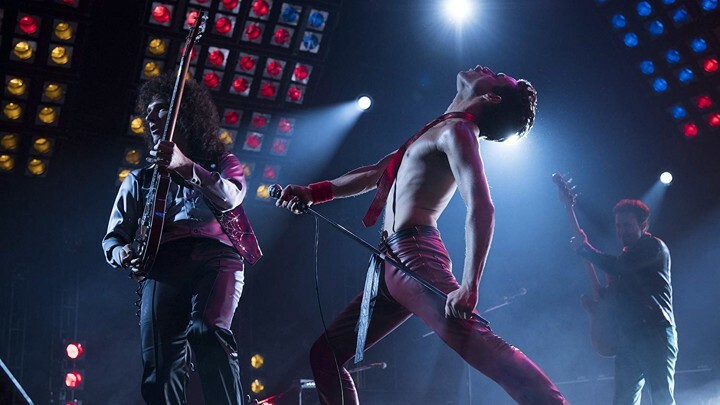 I loved Rami Malek as Freddie and the other three band members Gwilym Lee, Ben Hardy, Joseph Mazzello were exemplary. Now popularly known as little finger, actor Aidan Gillen delivered a good performance and did manage to get in some great one liners. The one that stayed with me is, ‘Freddie, you’re firing the wrong snake’. There’s something great and scary about making an autobiography. You’ve a lot of material to refer to but then you’ve a lot of material to do justice to. But the movie pulls it off. It created the 1980s perfectly – the costume, the decor, the set, the crowd, The cultural representation, the social inhibitions, the moral obligations, all of it is there in the movie and so much more. Bryan Singer provided good direction and managed to bring out the nuances of every character. Be it when the camera focuses on how Freddie mercury raises his arm in the air, or how his father feels like while hugging his son after so many years, how Mary expresses so much without saying a word and how someone who is loved by millions still feels lonely. The movie is releasing this Friday and I would definitely recommend it. Because the only thing extraordinary than their music is his story.